From Actors to Descendants of Queen Victoria we’ve been busy adding new timelines to our people category. We’ve embedded a few, but make sure you follow the link to see them all. 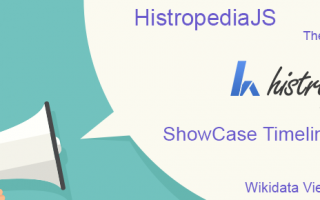 UPDATE: You can now search for and add all of our people timelines (and more) straight from the search box on Histropedia. Love literature? Then you’ll definitely enjoy our massive timeline of some of the most famous authors throughout history. If you like this timeline be sure to check out our Literature Category and discover the bibliography timelines we’ve created. If science is your thing you’ll recognize many of the names on this timeline which shows all of the most famous scientists. But why not zoom into a period of time to uncover lesser known scientists from that period who made a meaningful contribution to science. Feeling dramatic? Then be sure to check out this timeline showing a massive collection of famous actors from Charlie Chaplin (1889 – 1997) up to the present day. A Royal Interest? This timeline shows over 300 of Queen Victoria’s descendants. They are spread across the Royal Families of Europe and Russia and sit on the throne of Belgium, Denmark, Norway, Spain, Sweden and the United Kingdom. Gone but not forgotten, mourn the passing and celebrate the lives of those who we have lost this year with our timeline of 2014 deaths. This is another instant timeline, created this time from the Wikipedia category “2014 Deaths”. Learn more about automatically generating a timeline from a Wikipedia category in our knowledge base article. 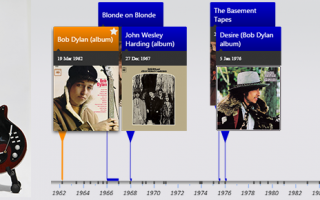 « Tutorial: How to make a “descendants of” timeline using Wikidata.